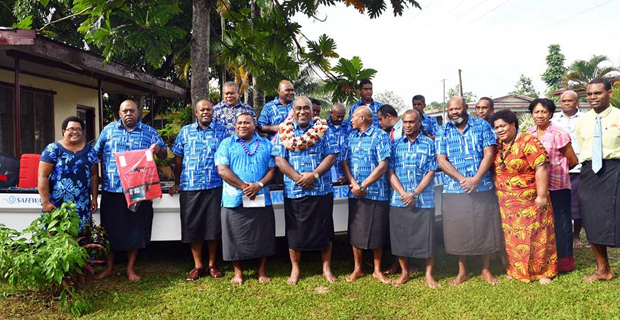 After numerous reports of illegal fishing around traditional fishing grounds, the Nakovacake Fish Wardens Association of Navoci Village in Nadi have received a boat and engine to help address the growing concern. The Association which was established by the Nakovacake Development Trust places an emphasis on youths to see the importance of protecting their traditional fishing grounds. Trust Secretary, Asinate Dawai says that they have a total of 30 licensed fish wardens who are organized to take patrol shifts, with their traditional fishing grounds, which spans from Akuilau Island near Denarau to Lomolomo, Vuda. Dawai says that this assistance from the Ministry of Fisheries will greatly help the people in Navoci Village protect their boundaries. The boat and engine that were handed over to the Association by the Minister for Fisheries, Semi Koroilavesau cost $24,000. The Minister acknowledged the people of Navoci Village for their commitment to improving the livelihoods of their people.